* Note: The Garden Commander footprint is 4 feet long and 2 feet wide. Most raised beds are 4’ by 4’. Therefore, 2 Garden Commander Frames and 2 pairs of end caps are needed to enclose your covered area. * Always wear protective gloves when handling wire products. Garden Commander Protects your Plants from Hungry Wildlife and Extreme Weather – Great for Garden Rows and Raised Beds – Early Startup and Extend Seasons to. 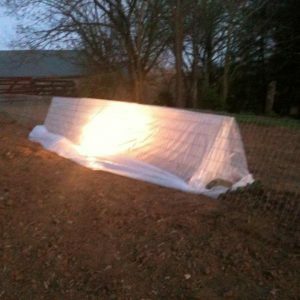 Our row covers create a protective cover for seedlings, sets, and mature plants. Stop deer, rabbits, squirrels, birds & more from eating your garden plants. Great frame for mini greenhouses, frost & shade cloths, netting, and trellises. Garden Commander protects plants from hungry wildlife and extreme weather all season long. 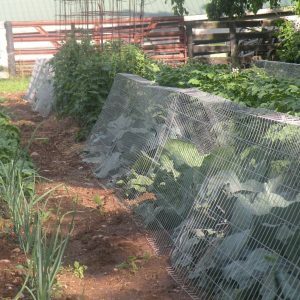 Add plastic sheeting to create a mini greenhouse and start your garden early, apply a shade cloth during the Summer heat and apply a frost cover to extend the Fall growing season. 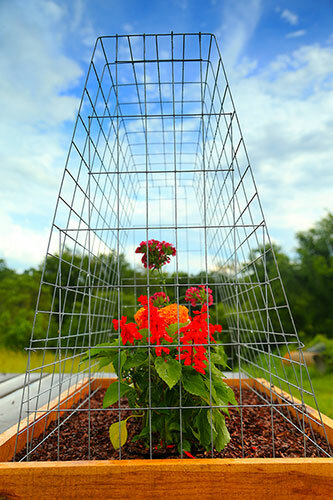 Garden Commander frames offer the gardener other options – trellising vegetables and flowers, supports tall plants, (iris, peonies, gladiolas & lilies), and apply fine netting for insect protection. 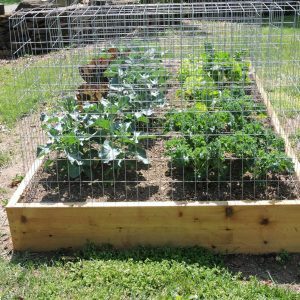 Made from durable, rust resistant 14 Gauge Galvanized wire, Garden Commanders will last many years. Sets up in seconds; just stack or hang for easy off-season storage. Copyright © 2019 Garden Commander, All rights reserved.